Neha Sharma Presenting at OTC 2016 | Horizon Marine, Inc. 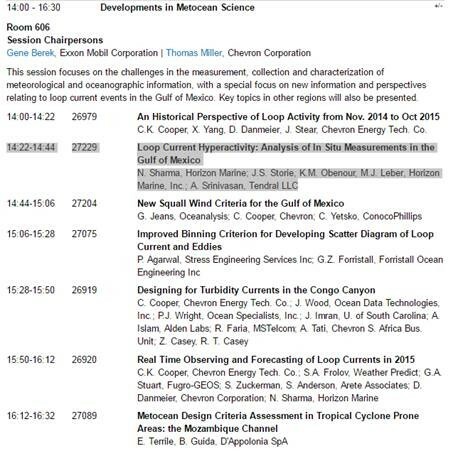 Horizon Marine's VP of Operations, Neha Sharma, will be presenting “Loop Current Hyperactivity: Analysis of In Situ Measurements in the Gulf of Mexico” during the Developments in Metocean Science Technical Session on Tuesday afternoon (May 3, 2:00-4:30pm) in Room 606. We encourage you to attend and ask lots of questions!